Leaving Jerusalem on highway 1 and making a left turn onto highway 90, the Dead Sea, with the red Moab Mountains of Jordan rising on its eastern shore, is a sliver of blue out the front window of the bus. According to historical records and past accounts, the sea or lake, which straddles the Israeli border with Jordan, was a considerably larger sliver of blue than it is now. 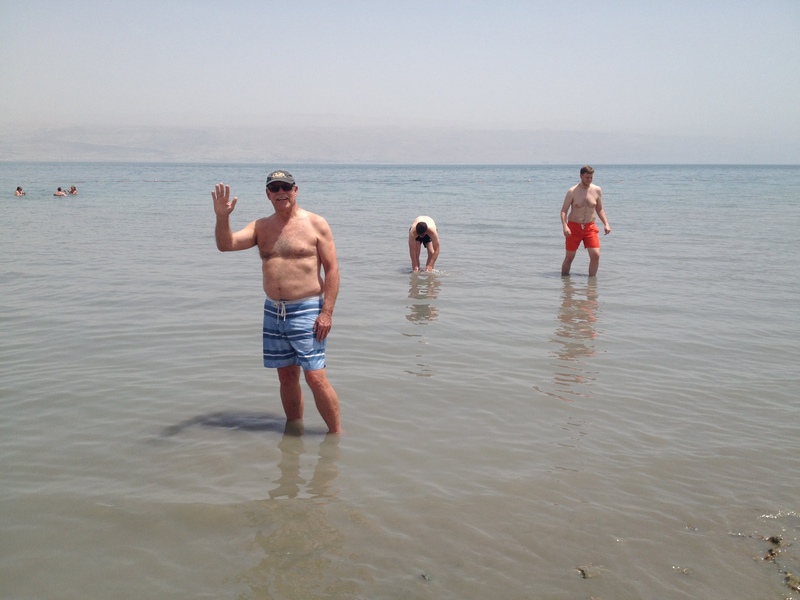 While many believe it is an slow-motion environmental crisis, and others postulate that the shrinking Dead Sea is a symptom of what ails water resource management throughout the world, I believe it is a picture of God’s perfect plan working in spite of man’s imperfect choices. The Dead Sea suffers from the realities of a sun baked Middle East, including the siphoning of water destined for the lake by an agricultural industry thirsty for water, surrounding nations providing fresh water for their populations and business elements running 24/7 that thrive on minerals mined from its shores and waters. 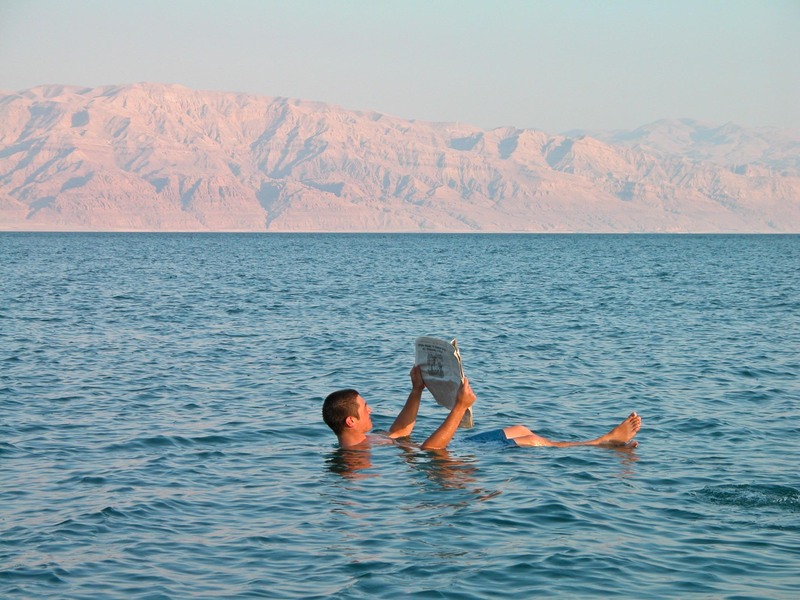 Put all those interests together and you have a calamity of alarming proportions….according to those who live around and study the Dead Sea. The Dead Sea inhabits the lowest place on earth, 1400 feet below sea level, and because of that elevation, what little water that enters the lake leaves solely through evaporation…and 7 million tons evaporate daily. The Jordan River was and is the source for the majority of water entering the Dead Sea. In the middle 1800s, a US naval expedition was dispatched to explore the Jordan River. They described it as 30 meters wide with a series of 5 meter high waterfalls separated by rushing rapids. Today, there are places in Israel where, in the dry season, you can almost step over it! Regardless of the dire predictions and even though man is not always careful with the natural resources we have been entrusted with, the Dead Sea isn’t going to die. 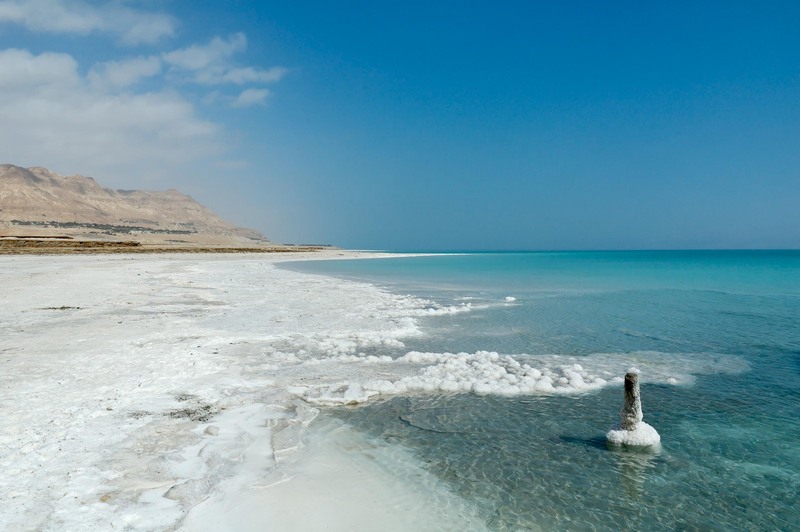 That incredible body of water, which by all accounts is 33.7% salt, benefits from a God-given universal law, the scientific law of saltiness and saturation, wherein the Dead Sea will eventually reach a point of equilibrium and stop shrinking. Simply, the amount of water in the sea’s briny make-up and the amount of evaporated moisture in the air above it will reach a kind of stability or balance. Additionally, while it is prone to a certain level of evaporation, it is also hygroscopic, which means it is capable of absorbing water from the atmosphere around it. It’s almost as though this endangered natural treasure has some in-built safety mechanisms, in essence, God given protections from man. Aha! God’s perfect plan still works in spite of man’s imperfect choices. Thank You God! See this spectacular beauty for yourself, join us on our December 2017 tour to the Holy Land. We will certainly stop along it shores to spend time bobbing in its waters and enjoying the incredible benefits of God’s perfection!